And so, set your face [surrender your whole being and purpose] toward the [one, ever- true] faith, turning away from all that is false in accordance with the natural disposi­tion that Allah has instilled into man. No change (let there be) in what Allah has created: that is the ever-true faith. But most people do not know (AI-Rum 30:30). From the basic characteristic of the Islamic concept that is, its divine origin, proceed all the other characteristics. As this concept has been revealed by the Creator, man's obligation in relation to it is to receive it with an open mind, respond to it with a willing heart, adapt to it, and apply its teachings to the affairs of his life. One must realize that the Islamic concept is neither a product of human thought, nor a response to some particular environment, nor valid only for a par­ticular period of time, nor has it sprung from any earthly cause. It is a pure gift of guidance from the Creator as a mercy for mankind. This characteristic of divine origination implies another very im­portant characteristic. The Islamic concept contains certain un­changeable realities, so that all development and changes in the Islamic society must be within the framework of these permanent realities. The "constituents" and "values" of the Islamic concept are permanent and unchangeable, whereas the "styles" and "forms" of societies and ways of doing things may change. All the changes in the outward forms of practical life, however, remain under the firm and fixed fundamentals and values of this concept. This does not mean a "freezing" of thought and action. On the contrary the Islamic concept not only permits but encourages move­ment and change as long as they are within its own framework and around its fixed axis. A little observation and thought will convince anyone that this characteristic, i.e. movement within an orbit around a fixed axis, is a characteristic of all of Allah's creation, not merely of the Islamic concept. Some examples of this follow. Matter, whether in the form of particles or in the form of energy is subject to the law of conservation, yet it is always in motion and changes its form and appearance. The atom consists of a nucleus and some electrons that revolve around it in fixed orbits. Every planet has an orbit, and every star has a course. They all move in an orderly fashion, within a particular system. The “humanity" of a human being with a breath of divine spirit blown into his frame, which makes him superior to all other creatures around him, is a fixed reality. "Humanity" or "human nature" is found in every human being, although each human being goes through various stages, from an embryo to an old man or woman, and through various social roles, advancing or regressing, in proportion to his nearness or distance from his' 'human nature." Yet none of those changes and developments take him outside the essence of his "human nature," with all the desires, powers, and capacities inherent in that nature. The inclination of man to change the existing conditions of his environment in order to improve it is also a permanent reality. This desire is in the depth of his nature and is a product of his position as the deputy of Allah on earth because this responsibility requires the control and development of earthly resources. The expressions of this desire, however, vary according to time and place. Thus the characteristic of "movement within a fixed boundary around a fixed axis" seems to be a deep property of all of Allah's creation, and it is also clearly exhibited in the nature of the Islamic concept. 1) Whatever is related to Allah --and He is the axis of the Islamic concept -has a fixed meaning, i.e. there is no scope for change or development here. This relates to the existence of Allah, His eternity, His Oneness, His power and dominion over His creation, the absolute freedom of His will, and each of His attributes operating within the universe, on the earth, and among human beings. 2) The entire universe, comprised of Objects and living beings, is Allah's creation and His origination. Allah Most High willed its exist­ence and it came into being. Nothing animate or inanimate in this universe had or has any share in creating, managing or controlling any part of the universe, or a share in any of the Divine attributes. 3) All of Allah's creation, that is, the objects and living beings, including all human beings among whom are the messengers of Allah, are in a relationship of servitude to their Creator, who alone is the Master. As creatures of Allah, everything and everyone is His servant, without possessing any part of the attributes of divinity. In this relationship of servitude to their Creator, they are all equal. 4) Action without faith in Allah is just as useless as faith without action. Belief in Allah, including the attributes that He has ascribed to Himself, and in His angels, His books, His messengers, and in the Final Judgement, whereby good and evil are appropriately recompensed, is a precondition for meritorious actions. Their acceptance by Allah depends on this faith in some form. Without this faith, actions are meaningless from their very inception, incapable of acquiring any value, rejected, and neither taken into account nor accepted by Allah. 5) In the sight of Allah only Islam is the true religion and Allah does not accept any other faith or way of life from people. The meaning of Islam is to worship Allah alone, to ascribe Divine attributes to no one but to Allah alone, and then to submit to His commands and be pleased with His judgements in human affairs and with His prescribed way of life embodied in the Shari'ah. Islam and only Islam is the religion with which the Creator is pleased. 6) Man, as a species, is the noblest of all the creatures on earth, because he is the deputy of Allah on earth in the sense that to him belong the control and management of this earth and whatever it contains, and because there is no material value on earth that can be raised higher than the value of man or for which man can be sacrificed. 7) All the people on earth came from one origin, and hence, in this regard, they are all equal. They acquire merit and rank with respect to each other through their faith, consciousness of Allah, and good deeds. Other criteria of distinction among people such as place of birth, family, wealth, nationality, class, and race, have no value in the estimation of Allah and His religion. deputy on earth is the way of life and the religion for man, because the way of life and the religion are equivalent expressions of one reality. 9) In Islam, the basis of human groupings is belief and adherence to the way of Allah, not ethnicity, or nationality, or country, or race, or class, or economic and political interests, or any other earthly cause. 10) The life of this world is a test of belief and action, and the life in the Hereafter is a product of accounting and reward. Man is tried and examined every moment of his earthly life in his movements and deeds, in his reaction to whatever reaches him of good and bad or of benefit and harm, all of which comes from Allah, Who is the final Judge. All of these values and norms of the Islamic concept are permanent, not subject to change or evolution. They are fixed, and the appearan­ces, manners, and modes of individual lives move within their frame of reference and evolve in connection with them. Their meanings are to be realized in developing every institution of Islamic society, in every relationship within that society, and in every organization of peoples' affairs, individual as well as collective, under all conditions and environments. As the circumstances of a living society expand, so does the scope within which the meaning of these norms and values are expressed. And as the field of human knowledge expands, the varieties of expres­sion for these permanent values and norms also enlarge. But the principles remain fixed, and all these varieties of expression are governed in their application by these principles. To illustrate this point, let us consider the permanent reality that man is the deputy of Allah on earth. This reality is expressed in various forms. It is expressed when man tills the land to produce food, and it is expressed when man smashes the atom or sends satellites into space to investigate the earth's atmosphere or other planets. All such activities from one end of the spectrum to the other, as well as whatever may come in the future, are various expressions of man's vicegerency on this earth. While the varieties and scope of these expressions may increase and expand, the reality of man's vicegerency on earth remains fixed and unchanged. Its permanent nature demands that no man should be denied the dignity belonging to him of being Allah's vicegerent on earth and sharing with all other human beings this honor in the way prescribed by Allah, and that his value should not be sacrificed for the sake of increasing material production or for making spaceships. Man, every man, is the master of the satellites and the master of material production. Or consider the reality that the purpose of man's life is to worship Allah. This is expressed in all his actions directed toward Allah, and human actions are unlimited. The varieties of human actions grow and expand with the growing and expanding demands of his vicegerency. Similarly, the meaning of worship is attained when man implements Allah's injunctions in the affairs of his life, and such affairs are unlimited. They also expand with the growing and expanding demands of his vicegerency. But the reality of the ultimate purpose of man's existence remains fixed and does not change. If a man does not direct all his affairs toward Allah, and does not implement the injunc­tions of Allah in his life, he falls short of his essential duty and removes himself from the ultimate purpose of his existence, so that, in the estimation of Allah and the believers, his actions become null and void, neither acceptable nor capable of being set aright. Thus, room for the expression and application of these values and norms expands and the forms of expression multiply, while they remain fixed and unchanged as constituents of the Islamic concept. An advantage of this permanence in the constituents and norms of the Islamic concept is that the movement of mankind and its develop­ment remain guided rather than becoming random and chaotic, as occurred in the life of Europe when it loosened the knots of transcen­dent belief and ended in a miserably lost situation. With all its decep­tive luster and false glamour, Europe hides within its fold bewilderment, defeat, and despair. Another value of fixed norms and standards is that man can refer to them whatever occurs to him in feelings, thoughts, and concepts, and all that reaches him from his surroundings, changing environments, and connections. He can weigh them in the invariant balance of the Islamic concept to see whether they are near or far from the truth and from goodness. Thereby he lives always within secure boundaries, safe from temptations to wander away into the wilderness of specula­tions, with fixed stars to show the direction and signposts to mark the way. Another value of a permanent “standard” for human thought is that one can organize one's ideas with reference to it and not be swayed by emotions and desires. If such a fixed standard did not exist, how would one be able to refer to anything at all? If belief and values were to change with human thought, wherever it happened to go, and with the conditions of life, whatever they might become, how would it be possible to have any control and any stability, since human thought and living conditions change continually. For the sanity of the human mind and the security of human life the movement of our thoughts and actions must remain within the parameters of orbit established by our Creator around a fixed axis, which itself remains firm in the place created by Allah and does not move. This is how this whole universe is organized, from the atoms to the galaxies, without any exceptions to this rule. The need for a fixed standard and unchangeable norms was never more apparent than it is today, because people have abandoned fixed principles and mankind is cut loose from its axis. Our situation resembles a planet that has broken loose from its orbit and threatens to collide with others, destroying itself as well as everything in its path. "Had the truth followed their desires, the heavens and the earth and whoever is in them would have been corrupted" (Al-Muminun 23:71). Only the person not overpowered by the madness that has gripped mankind today is enlightened and wise. He looks at this miserable mankind, with its false concepts and systems, and realizes that the manners, morals, customs, and habits of people have all come off their moorings, that people are wandering aimlessly like madmen, pulling off their clothes and tearing them to pieces and moving feverishly from one hallucination to another. He observes mankind changing its concepts and beliefs in the same nonchalant manner as it changes its fashions in responding to the advertising of fashion houses. He sees mankind screaming with pain, laughing like a loon, running as if hunted, staggering about like a drunk, throwing away what is precious in its hand, and grasping at stones and dirt. Hundreds of millions of humans have been destroyed and made into machines in order to increase production! Human norms have been sacrificed, together with the sense of beauty, morality, and higher values merely so that a handful of usurers, pornographers, producers of films, and directors of fashion houses may become rich. Look at the faces of people and at their movements and clothes, and then peer into their minds and survey their thoughts, opinions, and desires, and you will find a people frightened, running away as if hunted down, and never stopping or resting long enough to see anything in its right and proper perspective. Indeed, they are running away, running from their own hungry, anxious, bewildered selves, unable to hold on to anything fixed or move in a permanent orbit around any stable axis. But the human soul cannot live by itself, separated from the reality of Allah's universe, nor can it be contented in such a state. Thus it becomes shattered and wanders aimlessly, finding neither rest nor peace. Standing on the periphery of this miserable mankind is a gang of exploiters whose sole aim is to profit from other peoples' miseries and confusion. These gangsters consist of usurers, film producers, manufacturers of fashions, and publishers of pornographic books and magazines. Whenever they sense that mankind has had enough, has begun to realize its mistake, and is about to find an orbit and a fixed axis, they prod it on toward more madness and confusion. This gang, shouting slogans of progress and liberation, without bounds and limits, shoves mankind with both hands toward still greater chaos. What a crime, what a horrible crime this is against the whole of mankind and especially against the current generation! As we explained earlier, the notion of perpetual "progress" or advancement in all values and culture is contrary to the very basis of the universe and of nature. Secondly, from this idea stems a distur­bance in human affairs from which there is no refuge, because it justifies any concept, value, or system merely because it comes later in time. The sort of reasoning that whatever is more recent is ipso facto more advanced is absurd and should not be employed for judging a concept, a way of life, a value, or a system. Rather, weight should be given only to the constituents and elements of a system and way of life, and not to the epoch in which it appears. We know that European thought, in its flight from the Church and in its intense desire to be rid of this yoke, went to an extreme in its denial of "absolutes" and in its affirmation of "change" by denying the very concept of religious faith and revealed law. This was perhaps inevitable when the "absolutes" of the time were manmade and obviously flawed. We know the road that European thought followed and have described it in some detail in an earlier chapter. We should not be too harsh in condemning the historical course that it took, because this wrong and blameworthy course was merely a reaction to a distorted belief, which from the very first moment of its inception was mixed up with paganism and mythology. At the same time, European thinkers and scientists also had to face a corrupt and tyrannical Church which imposed conceptual nonsense, in the name of its absolute and fixed faith, on thought, science, and people generally. Though we should not judge too harshly the course of Western thought forced upon it by the tyranny of the Church, we must be clear about its error in going to the other extreme of revolt against all fixed principles, permanent values, and absolute truths by embracing the notion of perpetual change and continual progress in a universe devoid of anything absolutely true or permanently valid. This position is not scientifically valid, but is rather a violent reaction to the tyranny of the Church. Darwin, who introduced the idea of evolution in the development of living beings, only touched the superficial aspects of life, without penetrating into its origin in the Will that brought life into being. Even if we suppose this theory to be correct, despite the axes that already are cutting at its very roots, all the supporting evidence merely indicates that evolution is following a path determined by a transcen­dent Will, without any role for randomness or chance. Evolution is one of the laws of motion operating in this universe, and, as we stated earlier, the natural laws governing motions within the universe are within fixed orbits around fixed axes. In any case, neither "the scientific method" nor "factual truths" guided the thoughts of Darwin. He did not guide us toward the secret of life nor did he give a scientific explanation for its appearance. He was trying his best to avoid any reference to God. A scientific mind would immediately recognize that the existence of life implies the existence of the One who invented it. And the direction of its development in harmony with its environment implies that its Originator had a Will and a plan, was aware of what He was doing, and was capable of translating His Will into the reality of existence. But Darwin could not acknowledge this, because he had revolted against the Church and was running away from the God of the Church. He therefore ascribed the evolution of life forms to "Nature," which, according to him, has limitless powers. He then tried to give the false impression that nothing, absolutely nothing, is fixed and permanent. All his research was confined, however, to the development of life forms after they had already emerged, and so in no case could have been applied universally to everything. "Marx employed the dialectic of the principles of contradiction introduced by the German philosophers Fichte and Hegel before him. But, while they employed it in the realm of concepts and ideas, Marx employed this principle in the field of “economics” in relation to the history of societies. "In this view every 'thing' has its opposite and thus every thing annihilates itself. This is the general principle of contradiction, but Marx applies it to the annihilation of classes that support ‘capitalism,' just as those classes were annihilated which pre-dated the capitalistic system. The monarchs and feudal systems collapsed, according to Marx, because of their inherent contradictions. Thus will the new capitalistic system collapse by producing its opposite or contradic­tion, the communistic system, which will have but one class of workers. "According to this logic, the principle of contradiction does not stop after producing the opposite of a 'thing,' but continues onwards by a synthesis of the two, which brings about a new 'thing,' which again produces its opposite, and so on. But, contrary to its own logic, Marxism expects that after the communistic system comes into being it will not collapse by producing its opposite. "Adopting the Hegelian principle of contradiction, Marxism explains that everything contains two opposing forces: if one of them is termed 'the thesis,' the other is 'the antithesis.' These two opposites annihilate each other; but out of this mutual destruction is produced the synthesis of the thesis and antithesis. The synthesis is again a new thing, which produces its opposite and a new synthesis, and so on, ad infinitum. "Now Marxism takes this principle and applies it to human history, arguing that communism, as a social system, is at a higher level than any previous social system. The hierarchical system, with the king's lords on one side and the subjects on the other, produces a conflict between these two classes and is annihilated to produce the synthesis, which is the feudal system. The feudal system, with the land-lords on one side and the peasants on the other, produces a conflict between these two classes and is in turn annihilated to give birth to the synthesis, which is the capitalistic system. Now, says Marxism, the capitalistic system, with the capitalists on one side and the workers on the other, will produce a conflict between these two classes and will in its turn be annihilated to give birth to the synthesis, namely, the communistic system consisting of but one class. "The question is why should the principle of contradiction stop its operation at this stage? Why should not the communist system, by the inexorable logic of this principle, produce its opposite, then a conflict of the two, and then a new system? "Furthermore, according to Marxism, every new synthesis produces a superior social system. Hence, the feudal system is superior to monarchy, capitalism is better than feudalism, and finally com­munism is better than capitalism. "This claim that every system is superior to its predecessor is tooted very loudly by the communist propagandists, and many simple­minded persons fall for this propaganda believing that whatever comes later in time is superior to what has gone before and that they will be working for a world that will be better than the one that they found." From the above it ought to be very clear that Marxism is founded on dogmatic assertions and has nothing to do with facts or historical reality. To begin with, the principle of contradiction as formulated by Fichte and Hegel is a purely intellectual construct, having no roots in fact. Marx takes this principle and applies it to history, disregarding all elements or factors of human societies except the economic, thus sparing himself the trouble of demonstrating the validity of this principle in other aspects of societal developments. Next, he takes the economic element, which despite its importance is by no means the sole factor in the development of human societies, and traces the history of a single group of people, the Europeans, in an extremely simplified fashion by emphasizing only a few aspects of it. How could this one man, living for a limited span of time in a particular place and society, comprehend the infinitely many causes and influences operat­ing on millions of people over several centuries? But he chooses one aspect of this complex and multi-dimensional history, throwing away all other aspects, and then issues a dogmatic judgement that what came later in time is better than what came before it. Furthermore, he does not even try to be consistent with himself, but abruptly brings the historical process to a complete stop as soon as it reaches communism. Why should the historical process stop here, one may ask, depriving mankind of better and superior systems that ought to follow com­munism? In addition to this obvious incoherence in the very founda­tion of this dogmatic system based on wishful thinking, there is a madness in the ordering of values which is not limited only to its followers but has also gripped its opponents both in Europe and in America. This madness is the craze to discard everything from the past and to embrace everything new, to remove all restrictions in the way of fulfilling desires and passions, and to mock everything traditional whether in the moral or in any other sphere. For the Marxist regimes, this madness is pre-planned and has a definite objective. To advocate continual change is merely an excuse for doing whatever one wants to do. In particular, when it is advocated by “the State" it means that the government wants an excuse to take away from people all the fixed reference points and established values against which the actions of the government may be judged. When there are no established rights or fixed constitutional guarantees, where can the people find any refuge? While the government enjoys the freedom to deal with individuals as it pleases, it encourages individuals to indulge in their desires and to pursue bodily pleasures as a replacement for their usurped rights, usurped values, and usurped freedoms. On the one hand this madness justifies complete license for animalistic lusts, and on the other com­plete license for dictatorship, one in exchange for the other. And this deal is transacted between the parties, in technical jargon, the "people" and the "state." In communist societies this deal is rooted in a discrete "philosophy" and "scientific" system, namely, the "principle of contradiction" and' 'dialectic materialism." And yet this "scientific" system dares to declare that religion is the opiate of the masses invented to serve the ruling cliques. 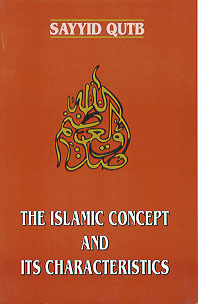 The characteristics of having "permanent realities" and fixed values in the Islamic system is a guarantee that the Islamic society will' 'move within a fixed orbit around a fixed axis" and that Islamic thought and action will be consonant with the system of the universe in general, thereby remaining immune to the evil perturbations of man's whims, which would destroy even the universe if it were to follow man's ever changing desires. This characteristic of Islam keeps Islamic thought and Islamic society safe from the kind of madness that has gripped Marxist thought and socialist societies. Indeed, since the day they let themselves loose from the anchor of faith, Western thought and Western societies in general have been affected by this madness, even though they are opposed to Marxism on religious and political grounds. The characteristic of "permanence" in the beliefs and values of Islam produces a deep sense of security in the conscience of the Muslim as well as in the Muslim society. This sense of security comes from the knowledge that the orbit and the axis of the Muslim's life are firm. A Muslim understands that his every step is a step forward, directed toward a goal; that his movements are connected in time, stretching from yesterday through today toward tomorrow; and that his action is purposeful, ascending sequentially toward spiritual heights, under the firm guidance of Allah's will. Finally, the unchanging character of Islamic values guarantees for the Muslim certain inalienable rights and basic freedoms to which he and the judges and governors over him can and must refer. The governors are not free to change the constituents and the values of Islam, nor to lure the people toward lusts and physical pleasures in order to take their minds off the existing political oppression or financial ineptitude. The Islamic concept stands firm on the basis of the policy that for the life of man there are but two states of being, and that these states are independent of time and place. Their respective values are intrinsic to them, because they are determined by Allah's just balance, which remains unaffected by temporal and spatial changes in man's condition. There are only two possibilities for the life of a people, no matter in what time and place they live. These are the state of guidance or the state of error, whatever form the error may take; the state of truth or the state of falsehood, whatever may be the varieties of falsehood; the state of light or the state of darkness, regardless of the shades of darkness; the state of obedience to the Divine guidance or the state of following whims, no matter what varieties of whims there may be; the state of Islam or the state of jahiliyyah, without regard to the forms of jahiliyyah; and the state of belief or the state of unbelief, of whatever kind. People live either according to Islam, following it as a way of life and a socio-political system, or else in the state of unbelief, jahiliyyah, whim, darkness, falsehood, and error. The din of Allah is Islam (submission to His will) (Ale 'Imran 3: 19). And if anyone seeks a religion other than Al- Islam (submis­sion to Allah), never will it be accepted from him (Ale 'Imran 3:85). After the truth, what is there but error? (Yunus 10:32). And now We have set you on a clear way (shari'ah) of (Our) command; so follow it, and follow not the whims of those who do not know (Al-]athiyah 45: 18). This is My straight path, so follow it. Follow not other ways, lest you be parted from His way (Al-An 'am 6: 153). Allah is the Protecting Friend of those who believe. He brings them out of darkness into light. As for those who disbelieve, their patrons are false deities. They bring them out of light into darkness (Al-Baqarah 2:257). Then if any persons do not judge by what Allah has revealed, they are disbelievers (Al-Mai'dah 5:47). Do they desire [to be ruled by] the pagan ignorance? But for people who have inner certainty, who could be a better lawgiver than Allah? (Al-Ma'idah 5:50). And if you have a dispute concerning any matter, refer it to Allah and the Messenger, if you are believers in Allah and the Last Day (Al-Nisa 4:59). When this framework is firmly in place, then life in its thought, concept, practice, and system, can move within clear boundaries freely and flexibly. Man can then respond to every natural and healthy development, directed by the Islamic concept, which itself remains firm and strong. The great value of this state of guidance is that the root of all the Muslim's concepts and ideas are firmly planted in his soul so that the Islamic life and the Muslim society can stand on the framework of the din erect and firm. At the same time this framework leaves sufficient space for the natural growth and development of ideas and feelings and of methodologies and institutions. It neither puts an iron jacket around the Muslim society, which the Church intended for Christian society during the Middle Ages, nor does it free the society from every restriction so it can behave like a meteor in the sky or like a herd of stampeding buffaloes. This latter analogy fits the recent history of Europe, culminating in the chaotic Marxist way of thinking. This state of guidance was the very characteristic that kept the Muslim society cohesive and strong for more than a thousand years, in spite of being shaken, beaten, and savagely attacked by all kinds of external and internal enemies in every time and place. The weakness and decline in the Muslim societies did not start until they began to lose confidence in the unchangeability and perfection of the fun­damentals of Islam, so that the enemies of Islam could succeed in convincing the Muslims to set aside the Islamic ideas and replace them with Western ideas. No doubt, any society will be subject to violent swings from one extreme to the other if it has no firm roots in reality and follows ever-changing ideas and concepts originating in limited human understanding based on guess work, speculation, and false hypotheses. Such a society inevitably will set up this speculative knowledge or its own changing whim as a false god and derive its values and standards from this new idol. Such a society can only remain confused in ideas, disturbed in conscience, fatigued in nerves, and aimless in life, with its entire foundation resting on the shaky ground of illusion. This is exactly what happened to European societies after they broke their ties with every firm principle, and this is exactly what is afflicting the whole of mankind today. Not only Europeans, but all the societies of the world today are lost in a wilderness. Such a concept with permanent constituents and fixed values, must come from a source with firm knowledge and will, which sees every area and every direction, and from which the curves of the road are not hidden. Such a source necessarily does not decide something today to find out the next day that it was faulty and in error, nor is it affected by lust, nor are its decisions influenced by whims and desires. Once such a concept from such a source is firmly established, then there is no harm in movement, change, development, growth, and progress, because all this becomes desirable, secure, and natural, based on the principle of movement within an orbit around a fixed axis. The movement will then be guided and enlightened, will aim at achieving a noble purpose, and will proceed with steady, straight, and firm steps. This guarantees that the society will have a long, purposeful, and harmonious life. There is no need for us to state that all this does not mean that the Islamic society is frozen in a strait jacket. This is very remote from the Islamic concept and sense of purpose. "The movement within an orbit around a fixed axis" is not a "frozen" movement nor is the life of such a society devoid of change and progress. The main principle here is the' 'movement," because this is the main principle in the pattern of the universe. The Universe does not freeze or become still. To the contrary, it is always moving, changing, developing, and at every moment taking new forms, but it moves while conserving its mass and energy as mentioned earlier. When we study the Western schools of thought and find that they are dominated by the ideas of absolute “progress," without referring back to some fixed principle, we should be aware of the historical circumstances that propelled Western thought in this direction. We ought to be aware of the resulting enmity, both deep and hidden, against all religion, which has penetrated this thought and colored its entire concept. It is wrong to apply the methodologies and philosophies of Western thought to Islam, or to seek from it any help whatsoever for the discussion of Islamic subjects and history. Some of us take something from Western thought, sometimes its methodology, sometimes its conclusions, and sometimes just a worn-­out piece of paper, and then intermingle it with a discussion of Islam, or of its society, or its way of thought and concept. This is pure ignorance, and arrogance to boot, if it is dressed up as "scholarship." Sometimes there is even malice behind this ignorance and triviality. Muhammad Asad (Leopold Weiss) says in his book, Islam at the Crossroads: "History tells us that all human culture and civilizations are organic entities and resemble living beings. They experience all the phases through which organic life is bound to pass: they are born, they have youth, ripe age, and at the end comes decay, like plants that wither and fall to dust. Cultures die at the end of their time and give room to other, freshly born ones. "Is this the case with Islam? It would appear so at a first superficial look. No doubt, Islamic culture has had its splendid rise and its blossoming age, and it had the power to inspire men to great deeds and sacrifice. It transformed nations and changed the face of the earth, and later it stood still and became stagnant. And then it became an empty word, so that at present we witness its utter debasement and decay. But is this all? "If we believe that Islam is not a mere culture among many others, not a mere outcome of human thoughts and endeavors, but a Law decreed by God Almighty to be followed by humanity at all times and everywhere, then one's perspective changes totally. If Islamic culture is or was the result of our following a revealed law, we can never admit that, like other cultures, it is chained to the lapse of time and limited to a particular period. What appears to be the decay of Islam is in reality nothing but the death and emptiness of our hearts which are too idle and too lazy to hear the eternal voice. No sign is available that mankind, in its present stature, has outgrown Islam. It has not been able to produce a better system of ethics than that expressed in Islam. It has not been able to put the idea of human brotherhood on a practical footing, as Islam did in its supra-national concept of ummah. It has not been able to create a social structure in which the conflicts and frictions among its members are as efficiently reduced to a minimum as in the social plan of Islam. And it has not been able to enhance the dignity of man, his feeling of security, his spiritual hope, and last, but surely not least, his happiness. "In all these things the present achievements of the human race fall considerably short of the Islamic program. Where, then is the justifica­tion for saying that Islam is "out of date?" Is it only because its foundations are purely religious, and religious orientation is out of fashion today? But if we see that a system based on religion in the Islamic sense of din has been able to evolve a practical program of life more complete, more concrete, and more congenial to man's constitu­tion than any other thing the human mind has been able to produce by way of reforms and proposals, is not precisely this a very weighty argument in favor of the enlightened, religious outlook? "Islam, we have every reason to believe, has been fully vindicated by the positive achievements of man and indeed pointed them out as desirable long before they were attained. Equally, it has been vindi­cated by the shortcomings, errors, and pitfalls of human development, because it loudly and clearly warned against them long before mankind recognized them as errors. Quite apart from one's religious beliefs, there is, from a purely intellectual view-point, every induce­ment to follow confidently the practical guidance of Islam. "We need not 'reform' Islam, as some Muslims think, for it is already perfect in itself. What we must reform is our attitude toward religion, our laziness, our self-conceit, our shortsightedness, in one word, our defects, and not some supposed defects of Islam. "Islam, as a spiritual and social institution, cannot be 'improved.' In these circumstances, any change in its conceptions or its social organization caused by the intrusion of foreign cultural influences is in reality retrograde and destructive, and therefore to be deeply regretted. A change there must be, but a change from within ourselves, and it should go in the direction of Islam, and not away from it." We assert that the loss from intermingling Islam with Western secular thought is not merely that of the Muslims, but of all humanity. Humanity will lose the only remaining source of guidance from Allah Most High, by confounding its teachings, and by polluting, or rather poisoning, the clear, clean spring of Divine revelation. The whole of mankind will lose by being deprived of the firm and reliable source of reference in a world shaking in the winds of random thoughts, and in which corruption has appeared in the land and sea by what men have wrought by their own hands. There is no refuge for mankind except in this preserved and pure source coming directly from the Creator Himself. Those who are trying to undermine the last refuge, in the name of reform and progress, or in the name of getting rid of medieval heritage or in some other name, are indeed the real enemies of mankind. These are the people who should be rejected and thrown out, not only by us, but by every other member of the human race! They imagine that they are speaking in the name of "progressive" versus “reactionary" ideas, while in fact they are picking up the intellectual crumbs from European thinkers of the nineteenth or even eighteenth century. They have not yet even reached the twentieth century! They are at least fifty years behind the times. Many do not know that while they are still in prostration before the Marxist philosophy of dialectic materialism and its derivatives, and the Dar­winian theory of evolution and its implications, there have appeared, in Europe itself, ideas and tendencies that are in opposition to Marxism and Darwinism. These people themselves are "reactionaries" while claiming to be "progressive." Real progress today is possible only if we recognize our obligation to return to the truths of religion, seeking from them certainty, comfort, and spiritual solace, after three centuries of confusion, pain, and spiritual bewilderment. If we, whom Allah has saved from those historical forces that afflicted Western thought and led it into a wilderness of confusion, now jump into this wilderness without any historical or intellectual reason, we must be considered the worst of fools. Such an act of stupidity would not be a loss to ourselves alone, but would be a great loss for the whole of the human race, because we would have lost that source of reference to which we might return one day to find therein peace of mind and spiritual comfort after anxiety and fatigue. In this serious situation confronting mankind today, we should recognize the great responsibility that rests on our shoulders, not only in relation to ourselves, but to the rest of mankind. Refer to Muhammad Qutb, Are We Muslims? Mohammed Asad, Islam at the Crossroads. Ashraf Publications, Lahore (1955), pp. 150-155.